Wyatt Henseler, one of the top high school players in Lehigh County, has committed to play his college ball in Philadelphia with the Penn Quakers. Henseler, who is ranked No. 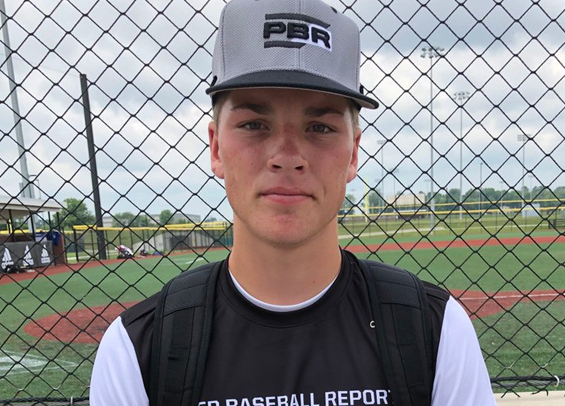 15 in the Pennsylvania Class of 2020 by Prep Baseball Report, confirmed his commitment via Twitter. He's a two-way player, splitting time at third base and also as a right-handed pitcher at Emmaus High School. Henseler was the lone sophomore selected to the Eastern Pennsylvania Conference All-First Team last season, hitting .424 on the year with four homers and 29 RBIs. The 6-foot, 180-pounder plays his summer ball with Tri-State Arsenal and has represented the club in several national competitions, most recently in the WWBA Underclass World Championships in Fort Myers, Fla. where he earned All-Tournament honors while hitting .333 with an OPS of .667 over four contests. Henseler is set to join the Quakers and be in action for the 2021 season.